There are so many cool animals living on our planet, and so many ways to introduce their stories to children. Here are a couple released last fall that I really enjoyed. Roger Seymour and Stefan Hetz, animal biologists, are scouting Germany’s northern countryside for the one-of-a-kind diving bell spider, the only spider that lives underwater. It’s not an easy job: the spiders are only as long as one to three grains of rice; they’re hard to find in the water; and they are becoming rare because of habitat loss and pollution. 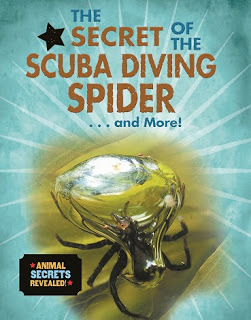 But the scientists find their spiders and we learn how the spiders build their diving bells. What I like about this book: It’s got more than diving bell spiders. There are whistling caterpillars – they whistle warning calls to their buddies- as well as bats that jam signals from other bats, and zombie ladybugs. Yes! Zombie Ladybugs! And cockroaches because if you’re talking extreme bugs, you can’t leave the roaches out. Informative, fun, filled with unexpected surprises about weird creatures – this book’s all that plus a hands-on activity at the end. And it’s filled with photos that will engage kids and draw them into the strange lives of these critters. 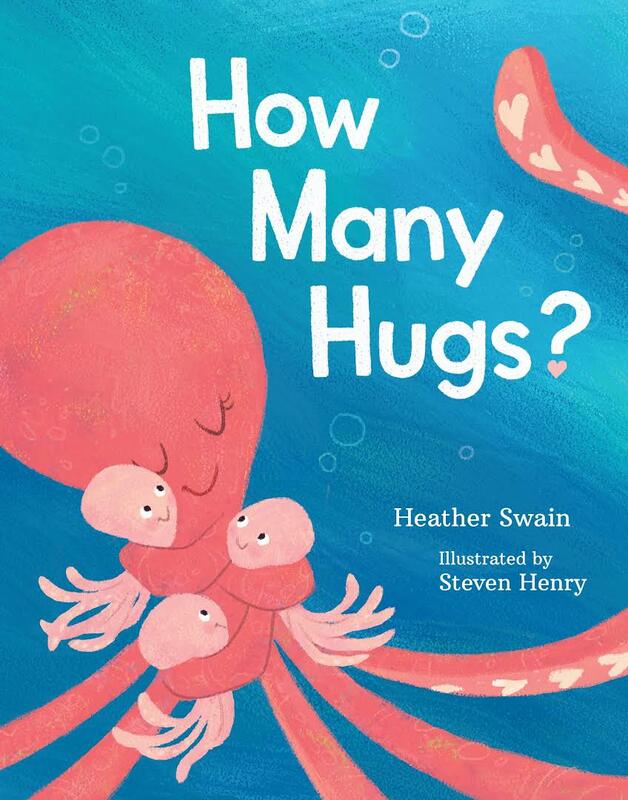 From critters with no legs to those with hundreds, Heather Swain counts hugs. Using rhyme, she answers questions every kid has asked: how many legs does a millipede have? What I like about this book: It’s fun. It’s imaginative. And it’s filled with math, especially division. For example, if you have two arms how many hugs can you give at one time? Just one – which is half of two. As the number of legs/arms increases, the math gets a bit harder. But the concept remains the same: H = L/2 (the number of hugs equals the number of legs divided by two). So…. that millipede with 750 legs? I’ll leave the math to you. And there’s back matter – a spread of facts about each animal and its leggy relatives.